Bosch and Huawei has announced a partnership to accelerate the development of the internet of things (IoT) in China. The collaborative agreement will see the two partners make Bosch’s IoT Suite software services available in China on Huawei Cloud. The Bosch software platform connects web-enabled objects to facilitate data sharing across a multitude of digital services and business models. The first service made available to Chinese consumers via Huawei Cloud will be the Bosch IoT Remote Manager – a service for managing and controlling gateways, sensors, and devices. Additional services of the Bosch IoT Suite will follow in 2019. Most significantly, for consumers in China, the world’s largest automotive market, the Bosch IoT Suite enables vital services such as the Vehicle Management Solution, which is available locally on Huawei Cloud. 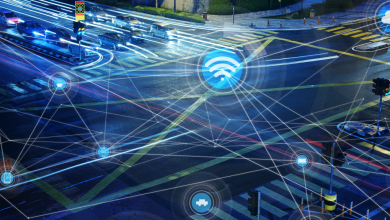 This solution connects vehicles throughout their service life, providing the technological foundation for cloud-based services such as predictive diagnostics and over-the-air software updates. The software provides a secure communication interface between the vehicle, the cloud, and the services. Data management enables vehicle manufacturers and fleet managers to organize vehicle data, analyze it, and keep the vehicle software continuously updated.